Now that the worst of the weather has passed, we can really see some progress on the Safari Condominium. Even during the cold over the weekend, Jack was down at the building doing this and that. 27 days and counting until we leave to pick up and bring home the primary resident: Safari Condo’s Alto R1713, better known as the Blue Roomba. 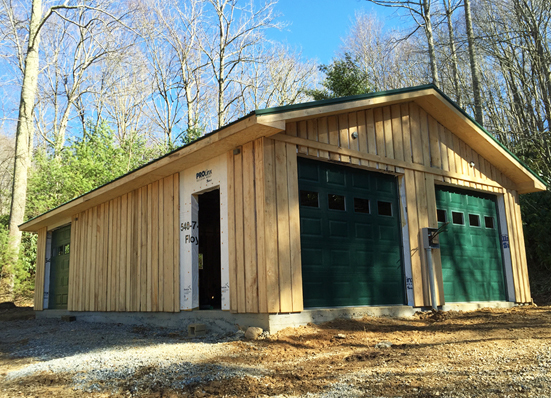 But today was a banner day, as we had the guys come in to construct the soffit under the roof; and the garage door team came and installed the 3 garage doors. It was windy, but a good day for it. Now, if the weather holds, we can get back to the work of putting up the battens over the boards. The rep from whom we ordered the “people doors” and the windows called, and they’re staged for delivery. Things are progressing nicely. Hoping we can get the windows this week, and install directly. If the weather holds, we’re well on track to have our house sitters take over while we’re on tour. Can’t wait. 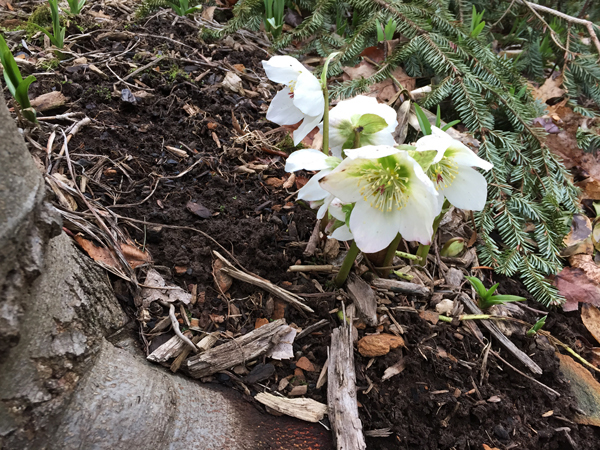 Lenten Rose: Can spring be far behind? So happy it’s all coming together for you and Jack. Go forth and enjoy. Looks like a well-made habitat for a Roomba or a misbehaving male.